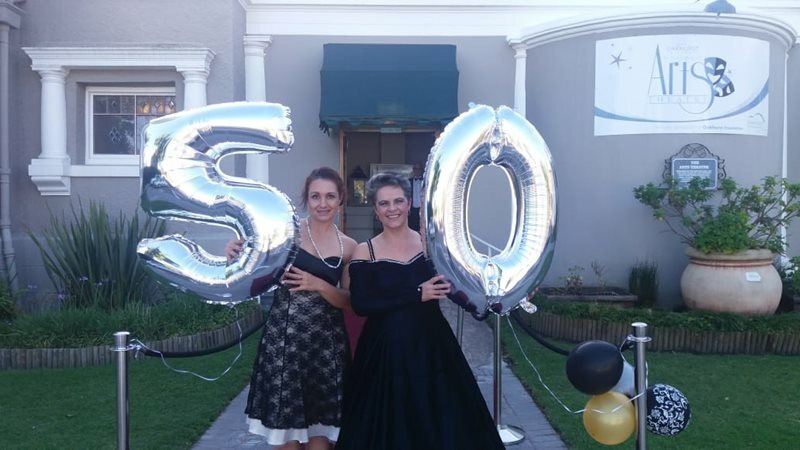 Arts Theatre: "50 years on stage"
GEORGE ENTERTAINMENT NEWS - The George Society of Arts celebrates 50 years on the stage of the Arts Theatre. The society, currently in its 71st year, purchased the building in 1969. An event to celebrate is held tonight at the theatre. Pictured are the director, Ilze Tulleken, and Madie Calitz, chairperson of the society. As part of the celebrations The Sleeping Prince will be performed later tonight.